Rachel Thomson of The Poverty Alliance: What Can Scotland Do? 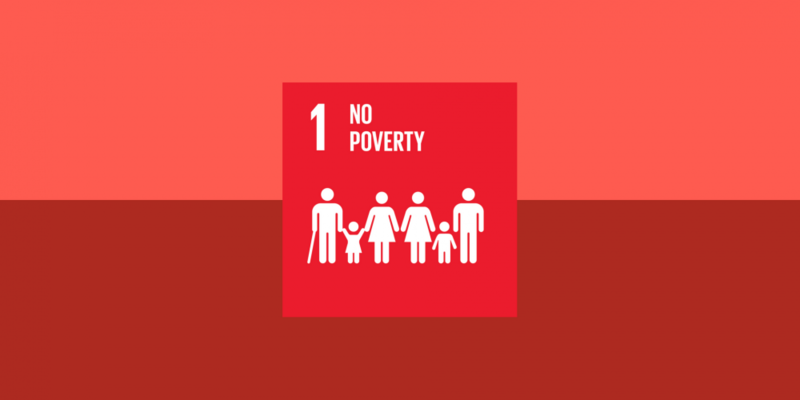 This article by Rachel Thomson, Campaigns and Policy Assistant at The Poverty Alliance, is the first in the SDG Network’s blog series ‘Scotland’s Goals,’ and has been written as part of Challenge Poverty Week. Want to get involved in this year’s CPW? Visit The Poverty Alliance website. On September 25th 2015, Scotland, along with 192 other countries, adopted a set of goals to end poverty, protect the planet, and ensure prosperity for all as part of a new sustainable development agenda. Upon looking at the set of goals, two that struck me the most were the goals to have no poverty and zero hunger. If we are to tackle hunger effectively, we must first solve poverty. We know that the answer to solving poverty fundamentally lies in boosting people’s incomes and reducing costs. Solving poverty takes real, structural change and a move away from quick fixes that mask the problem temporarily. To have zero hunger, we must first increase people’s incomes. Incomes can be raised in a range of ways, one of the most obvious being by paying workers the real Living Wage of £8.45 (as of November 2016). At the moment, more than 950 employers in Scotland are accredited Living Wage employers, and this means they are also obliged to increase it accordingly. At present, with around 467,000 people living on an inadequate income below the real Scottish Living Wage, many experience food insecurity and have to reach out to food banks to make ends meet. sector, civic society and faith groups, the Give Me Five campaign is calling on the Scottish Government to top up Child Benefit by £5 per week, per child. This would lift around 30,000 children out of poverty and since it is a near-universal benefit it would stop many families from falling into poverty and experiencing food insecurity. At the Poverty Alliance, we spoke to families about what they would do with an extra £5 per week and one response really struck me. A mother we work with said, “I have two kids, so £10 a week extra could allow us to buy fresh fruit and hopefully not rely on foodbanks so much”. The answer to preventing the need for food banks is giving people more money in their pockets. If we are to eradicate hunger and the need for foodbanks in Scotland, giving families a bit more money would be a good place to start. Solving poverty isn’t about quick fixes or sticking plasters over issues; it’s about tackling the route source of it. Scotland is a wealthy country. With the new powers recently devolved to the Scottish Government around social security and tax raising, we have a real chance at solving poverty. We can do this by utilising these powers, and by doing so can make a real difference in having no hunger in Scotland. Note: You can become a member of Scotland’s SDG Network by signing up here.